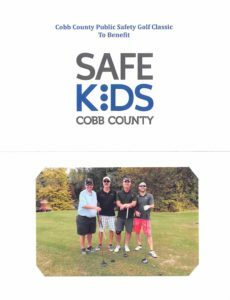 The Cobb Public Safety Charity Golf Classic benefits Safe Kids Cobb County & Cobb County Safety Village. 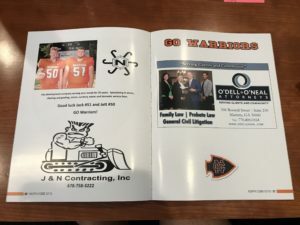 The money raised by the golf tournament and silent auction provides hundreds of local children with individualized child safety seat checks, bicycle safety rodeos, home safety kits and other community safety education programs. Congratulations to North Cobb Football on their undefeated season so far! 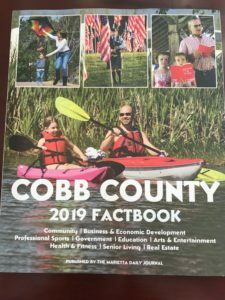 Check us out in the Cobb County 2019 Factbook. 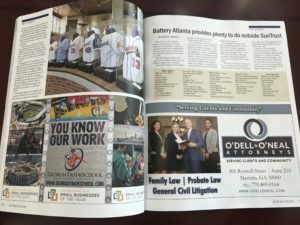 If you haven’t received a copy and want one, give us a call and you’re welcome to come by and pick up one of our extra copies. 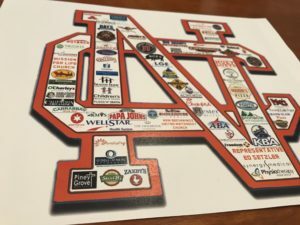 Proud sponsor of the 2018 Superior Plumbing Charity Classic held Monday at the Marietta Country Club. Proceeds from the tournament benefit Children’s Healthcare of Atlanta. Attorney Leslee Hungerford, pictured below with teammates Jason Albritton and Wes Collier, won first place! 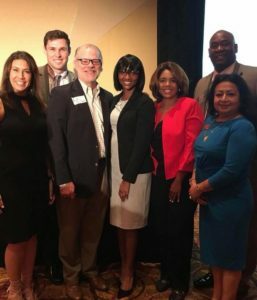 Attorney, Alyssa Blanchard is pictured with members of her Leadership Cobb ’18 class at the August 6th Cobb Chamber First Monday Breakfast. Alyssa was one of three young professionals leading a panel discussion on how to create a culture that empowers, embraces and retains young professionals in the workplace. In almost every case that reaches a judge, one side will leave the courtroom unhappy with the outcome. While this is often not due to any wrongdoing on the judge or attorneys’ end, sometimes a judgment is handed down that fails to consider key evidence or relies on faulty legal precedent. In such cases, an appeal may be an appropriate option to consider. However, there are numerous different types of appeals depending on the nature of the case and judgment entered, and each comes rife with its own set of procedural “traps for the unwary” that can keep your appeal from moving forward. 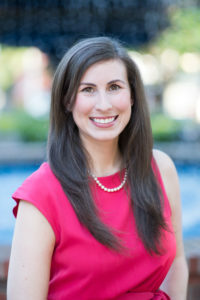 The timeline for filing an appeal starts the moment the judgment is filed, and it is extremely important for the appealing party to understand the type of appeal that they are dealing with, and have a comprehensive grasp of the appellate rules to follow to ensure that their appeal is not dismissed for failure to follow the proper procedures. 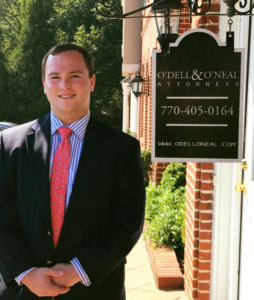 Justin O’Dell was featured on 11 Alive regarding the Secretary of State app linking to Kemp’s campaign for governor. Justin O’Dell’s interview with 11 Alive on the “Resign to Run” rule regarding Brian Kemp. 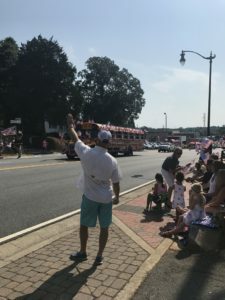 Every year we invite the public to join us in watching the 4th of July Parade. 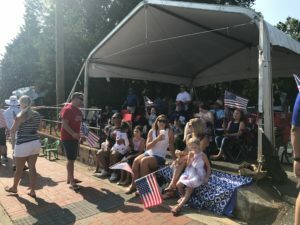 Our office is located in the heart of downtown Marietta, an ideal spot to watch the parade. We also had complementary donuts, snow cones, parking and beverages for everyone to enjoy. We had a great crowd for 2018 and can’t wait to host again next year! 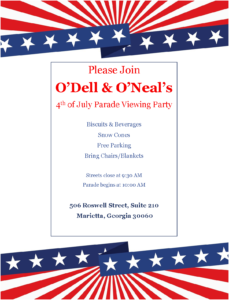 Come join O’Dell & O’Neal for the annual 4th of July parade viewing. Roads close at 9:30. Parade begins at 10:00. Free parking. First come/First Served. Remember to bring your chairs and blankets! Many times, the original will of a decedent cannot be located. However, an estate can still be probated even in the absence of the original will. In Georgia, if a will cannot be found there is a presumption that it was revoked by the testator (the individual who executed the will). This presumption may be overcome and a copy of the original will can be admitted to probate. Overcoming the presumption of revocation may be achieved by showing that the will was destroyed or lost after the testator died. The individual offering the copy of the Will may offer circumstantial or direct evidence to rebut the presumption that the will was revoked. Testimony from individuals who witnessed the execution of the original will are most helpful in this endeavor.